When Texans think of Voter Fraud, it’s hard not to think about the 200 ballots found in Jim Wells County giving Lyndon Johnson victory over his Republican opponent for the senate seat in 1948. Texas has a history of Voter Fraud, no doubt about it. Voter Fraud is one reason that some believe we lost the 2012 presidential election. 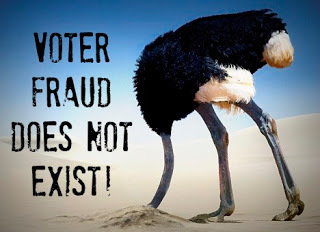 Thinking that there is Voter Fraud is one thing and proving that there is Voter Fraud is quite another. I also believe that in some cases it probably does not affect the outcome of the race but every effort should be made to keep the integrity of the vote. During my research on Voter Fraud in Bexar County, I found this information on Bexar County Criminal District Attorney Susan Reed interesting. She has done her own investigation on undocumented immigrants. But according to reports I read, has come up short in prosecuting anyone of this offense. Bexar County Elections Administrator Jacque Callanen in 2007 discovered that undocumented immigrants had voted and actually compiled the list of names from the jury summons cards. This information was taken from a 2007 article ‘Voter Fraud case takes a New Twist’, by Guillermo X Garcia, a reporter from the ultra liberal San Antonio Express-News. But in a recent investigation by Brian Collister of WOAI TV, Callanen states, ‘We are not an investigative body’. HOW DID YOU BECOME AWARE OF VOTER FRAUD IN BEXAR COUNTY? Did someone send you the information? Martinez: I have a sworn statement from an eye witness and this is currently under investigation at the Attorney General’s office. Gracie Acuna, Ballot Board member on the Bexar County election office helped Jo Ann Ramon, Democrat Political Consultant, prepare mail out ballots at the Democrat Party headquarters. HOW MUCH VOTER FRAUD DO YOU BELIEVE IS HAPPENING IN BEXAR COUNTY? WHAT DISTRICTS/PRECINCTS DO YOU BELIEVE WERE INVOLVED IN VOTER FRAUD? Martinez: Too widespread in Bexar County to comment. DO YOU BELIEVE THAT VOTER FRAUD IMPACTED ANY PARTICULAR REPUBLICAN RACE IN BEXAR COUNTY? Martinez: YES, Canseco and other congressional races, state and local were impacted at all levels. WHAT CORRECTIONS IF ANY, CAN CITIZENS OF BEXAR COUNTY EXPECT IN 2014? Martinez: That depends how vigilant the investigation is. A tough look from the Secretary of State and the AG’s office, unless we chase the fraud down it is only going to get worse… it is bigger than what the Republicans believe, they don’t even know what is going on. We have soldiers dying everyday for us to have this privilege and these people are desecrating their sacrifice. IS THERE ANY CHANCE OF PROSECUTION? Martinez: YES. We need the proper authorities to take a strong position. If the people in Austin listen and investigate with vigor and thoroughly what the grassroots found. Or maybe not. I don’t think they know what they are dealing with. HOW COULD THE REPUBLICAN PARTY PREPARE FOR VOTER FRAUD? Martinez: According to Bexar County Elections Office, everything seems to be in order. THAN WHOSE JOB IS IT? WHAT IS THAT EXTRA STEP? Martinez: Place people in places where Republicans have never gone and support individuals that we may not have previously supported, such as Hispanics. PRAY, FIGHT, NEVER GIVE UP! Is Ballot Mystery Voter Fraud?